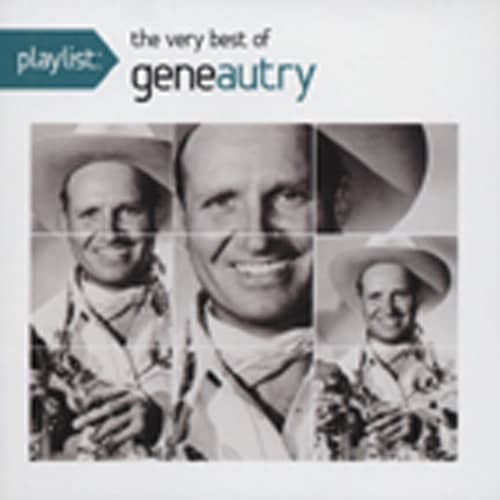 A very strong case can be made that Gene Autry is one of the two or three most important performers in the history of country music. He was not the first 'star' of country music, Jimmie Rodgers was. He was not the 'King of Country Music.' That title belonged to Roy Acuff. 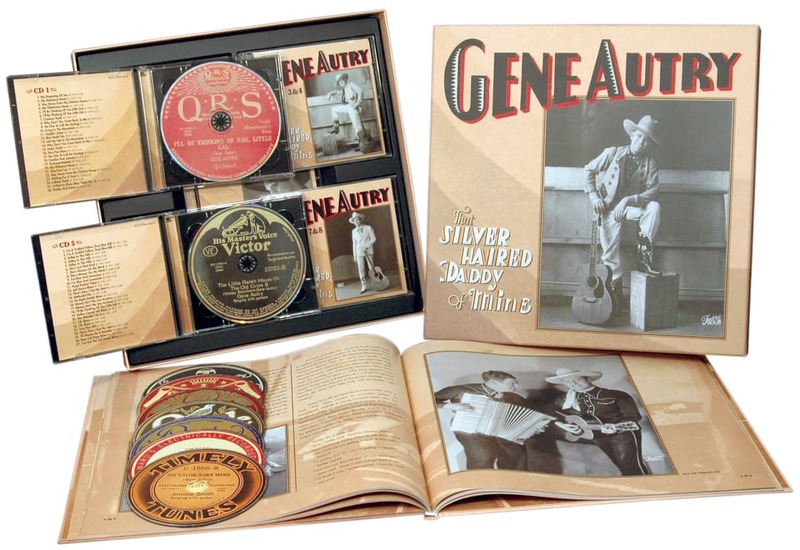 But Gene Autry was country music's first multi-media star. As a recording artist, he sold millions of records during the Depression years of the 1930s, when people could least afford to buy records, and was easily one of the biggest selling country and western singers of the middle third of the 20th century. As a movie star, he took American country music to the world and, with his cowboy image and his songs, helped create the mythos that characterizes the American West. Through his record sales, personal appearances, radio and television in the '30s, '40s, and '50s, he helped define country music for two generations of Americans. This American icon was born Orvon Grover (Gene) Autry on September 29, 1907, on a farm at Indian Creek, near Tioga, Texas, the oldest of four children. In his autobiography, 'Back In The Saddle Again,' Gene described his father Delbert as "a livestock dealer, a horse trader, a footloose, aimless man who loved people and animals and the smell of the good earth." His mother, Elnora Ozmont Autry, was a small woman who never enjoyed robust health. Gene's paternal grandfather, William T. Autry, was a Baptist preacher who taught him to sing when he was a young child because he needed the boy to sing in his church choir. Gene's early years were spent with the family moving from one small town to another in north Texas and southern Oklahoma. They finally settled on a farm near Achille, Oklahoma, where he received most of his elementary schooling. Not a lot is known about Gene's adolescence because, as he said in his book, "There is no point in trying to glorify one's childhood." The result of this philosophy was that Gene gave very few interviews that provided many facts about his formative years. Worse, we are left to speculate as to the music and passions that drove him as a youth. What few facts we do have show a family that was poor, but not deprived. The Autrys were farmers, so it would not have been too difficult, without much cash money, for them to sustain themselves off the land. Delbert Autry was apparently capable of earning good money as a livestock dealer and trader when times were good, and when money was scarce he bartered for chickens, eggs, cloth, leather and any other necessities needed to survive within the extended family. And, like most rural farm families, their social life would have centered on the church and the school. It is easy to imagine what Gene's boyhood would have been like along the Texas-Oklahoma border during and just after World War I. There was likely plenty of time for baseball, a sport Gene loved and was associated with for most of his life. In addition to such leisure-time activities, there would have been work in the form of chores expected of any child of a family scratching its livelihood from the land. Gene talked about feeding livestock and milking cows in the morning before riding horseback over six miles to school. Since money was scarce, Gene would have had to earn his spending money. In his book, he mentioned working as a hired hand for his uncles, Calvin and Homer. He referred to it as "mean work for a wiry boy." Although we don't know the exact dates, we know that Gene worked part time at 'The Dark Feather Theater' in Achille, where he changed the posters and marquee and served as the relief projectionist. He says that at the time he was little impressed with the dramatic and flamboyant exploits of the era's movie cowboys because they bore little relation to life in the cow towns he knew so well. It seems obvious that music was an important part of the family's life. There were revivals at the churches with religious music for the faithful, and kids would have learned the songs most popular with rural bands and local ensembles that played for square dances at the schoolhouse. Gene said his mother encouraged his interest in music, and we know that from an early age he sang in the church choir for which his mother served as organist. She also played piano and guitar, so it stands to reason that, with Gene showing an early interest in music, he would have learned at least the rudimentary techniques of both instruments. His mother sang to the kids at night, mostly folk songs and hymns. They most likely were exposed to the popular standards of the day through the windup Victrola that was fast becoming a staple in every household. When he was 12, Gene ordered his first guitar through the Sears, Roebuck catalogue, paying eight dollars earned while working on his uncle Calvin's farm, baling and stacking hay to be used to feed cattle in the winter. When Gene was 15, he returned to Tioga and lived with his uncle Cal's family while he attended high school. As a student, Gene ranged from average to indifferent. He did well with subjects that interested him, math being one at which he excelled, but his grades reflected a lack of enthusiasm for the others. Although Gene often claimed that as a youngster he had no thought of becoming a professional entertainer, the facts contradict that. He said, "I was ambitious to mainly get out of baling hay." That clearly means he had no intentions of being a farmer. The population of Tioga hovered around 800 people in the 1920s, but in spite of its relatively small size the town offered a diverse social life. Farming and ranching predominated, but the famed mineral springs attracted visitors from around the country, and the railroad brought a steady stream of visitors from the big cities. While Gene still worked on his uncle's farm to earn spending money, singing became a more and more important part of his life, and he began to perform wherever he could. He said that by the time he was 15 he knew his way around every stage in town. Accompanied on the piano by Calvin's daughter Louise, he played and sang in local cafés and other venues for tips from appreciative audiences. One summer—probably 1924—he even landed a job singing with the Fields Brothers' Marvelous Medicine Show, earning a handsome $15.00 per week. Sometime during his senior year, just shy of graduation, Gene quit school and rejoined his family, now living in Ravia, Oklahoma. The Tioga yearbook notes with little sympathy that Gene left because he found his studies too hard. A much more realistic and logical explanation is that he quit because he was simply bored with school. Gene said his mother had always hoped that he would become a professional man. "But," he later explained, "that dream went against the trend of my time and place. No one I knew as a child went to college. Where I grew up, on the line between Texas and Oklahoma, 'X'…was the legal signature for about a third of the adult population." It's reasonable to assume that Gene was beginning to assess his potential as a performer. After all, by the standard of any teenager at that time, he had earned a fortune the previous summer by singing with the medicine show. So, Gene talked Mr. Picket, Ravia's local railway station agent, into hiring him as a part-time helper for $35 a month. Likely Gene thought that by supplementing the railroad pay with money he earned as a performer, he could live. He had no desire to continue farming under any circumstances. Customer evaluation for "Playlist: The Very Best Of 1932-47"